Sunburn, pimple breakout, acne scars or even freckles can ruin an otherwise brilliant photo. 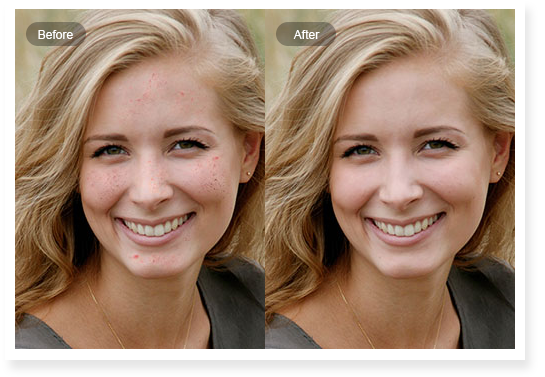 With Fotor's Blemish Remover, you can get rid of blemished on your photos for good with ease! Use the Blemish Remover to clear away any stains for a perfect photo. 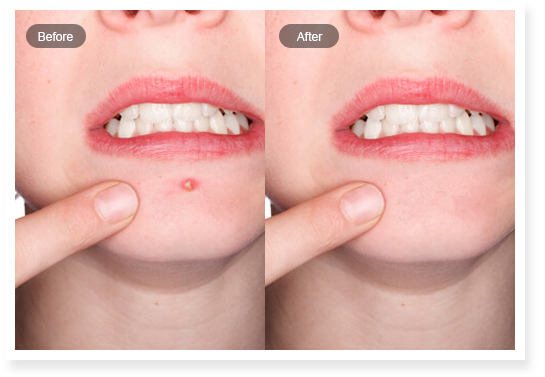 Remove pimples, acne scars, lumps, skin spots online has never been so easy with Fotor's photo fix tool! With our skin blemish remover, you'll never have another shot of blemishes ever again!